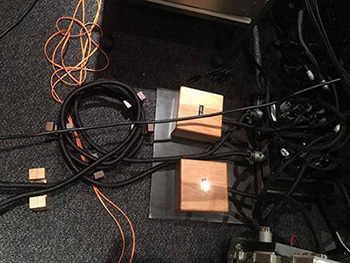 Provided for test by: MUSON PROJECT, Inc.
ne of the arguments against expensive cables used in high-end audio systems is based on the common knowledge of the cables that are used in recording studios. Long story short – usually they use cheap ones. The conclusion some draw from this would be this: if the recording was prepared using inexpensive professional cables often several meters long, the reproduction of the same material could be performed using similar interconnects and power cables. That's not a particularly smart reasoning - if you apply same one to old films you might conclude that these should be displayed on old projectors invented for the tapes these films were originally recorded on, the old recordings should be played using the equipment and speakers on which they were recorded, etc., doubling this way all the errors recorded with the sound in the recording studio. We know - maybe outside the world of "anachrophiles" - that it is a dead end and it is clear that on our side of the recipient of some recording we should try to get the maximum quality and information out of what we get from producers. Using the same cables on THIS side would result in adding even more same errors to those that already appeared during recording, and yet the audio system reproducing the music should introduce as few distortions as possible. Sometimes, however, it is possible to sneak high-end cabling into the “pro” world. For example, Mr. Ken Ishiguro, the owner of Acoustic Revive, achieved that and his products are used during the recording sessions of renown artists and at prestigious concerts, eg during the Montereux Festival 2014, or in the recordings of some Japanese musicians (HERE and HERE) and for remastering sessions of the older materials. The company's greatest success in this respect is the new edition of the Santana's Lotus (1974) album. This concert was first remastered ten years ago using some Acoustic Revive cables. This year, the latest version of this recording was released, made from original multi-track tapes to DSD 11.4 MHz and remastered in ultrahigh resolution PCM, using the full Acoustic Revive cabling and all the accessories from this company. The result is stunning, and the material appeared on three SACD / CD discs in the 7 "Mini LP format. 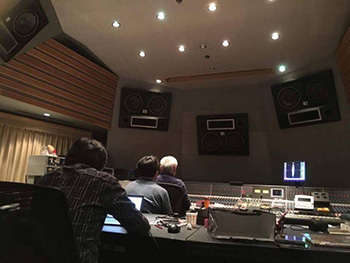 As our friend, Yoshi Hontani, a representative of this company outside of Japan, wrote, "compared to the material remastered ten years ago, the sound has been significantly improved in all aspects, such as intensity, consistency and imaging." I am sure that this experience was a direct impulse that led to the creation of Mr. Ishiguro's new series of cables featuring the latest type of copper: PC Triple-C / EX. 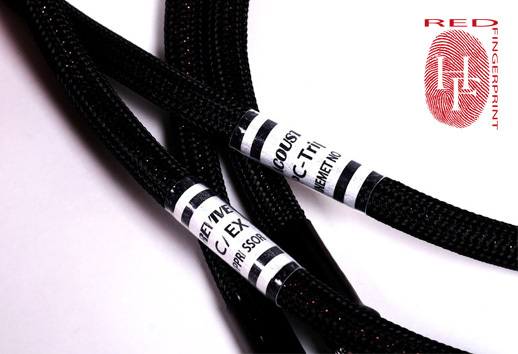 The latest series of Acoustic Revive cables uses a conductor developed by the same group of engineers who in the past introduced PCOCC-A copper, and some time ago its successor (replacement), PC-Triple C copper (Pure Copper - Continuous Crystal Construction), FCM (Fine Chemicals & Materials),, which is part of the Furukawa corporation. 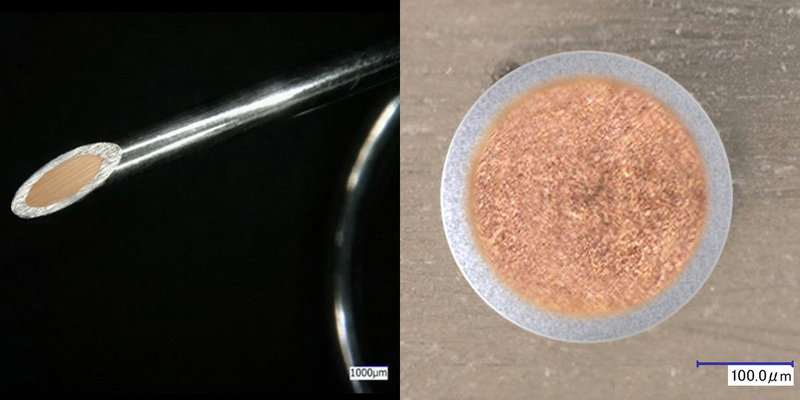 This time they combined copper and silver, and the named the conductor PC-Triple C / EX (Pure Copper-Continuous Crystal Construction / EXTRA); a silver layer of 5N purity (99.999%) is applied on the PC-Triple C copper core. It is not, however, silver-plated copper, as in all other such cables. If you remember how the PC-Triple C is made, i.e. by forging, not pulling, the matter will be simple - the silver layer is forged on copper. As a result, there is no transition layer in which copper particles mix with silver ones. According to the manufacturer, it is very important, because it allows for controlled signal transmission with regard to the skin effect. This type of conductor has a unique conductivity of 105.0% IACS (International Annealed Copper Standard), where 100% IACS equals the conductivity of 58,108 MS / m at 20 °C (more HERE). The problem is a limited production volume - it is complicated and time and energy consuming, and thus expensive. If I understand correctly, Acoustic Revive is the first company to use this conductor in their cables. The first of a series of interconnects, analog and digital, is the analog RCA interconnect RCA-1.0 Absolute-FM. 'FM' at the end informs you about the use of FINEMET sleeves in the plugs. As I wrote before, it is an expensive element by the Hitachi Metals, Ltd. It is an amorphous metal obtained by rapid cooling of a molten alloy, which consists of: Fe, Si, B and small amounts of Cu and Nb. By heating the alloy to a temperature higher than its crystallization temperature, the metal changes its structure to nanocrystalline. Its purpose is to filter high-frequency interference. The cable is more flexible than both Triple-C FM cables from this company, but it looks exactly the same, i.e. 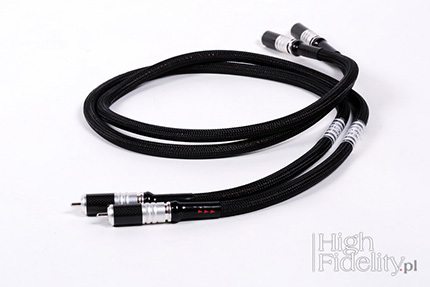 it features a black mesh sleeve and is terminated with, custom made for Acoustic Revive, rhodium-plated plugs with body made of aluminum and carbon fiber braid. They are slightly different from the ones used previously and it's the only element that distinguishes them from the copper cables of this manufacturer. The cable is directional, the correct connection is marked on the heat-shrink sleeves. The Acoustic Revive RCA-1.0 Absolute-FM was tested in our reference system, connecting output of the Ayon Audio CD-35 HF Edition Super Audio CD Player and the input of the Ayon Audio Spheris III preamplifier. 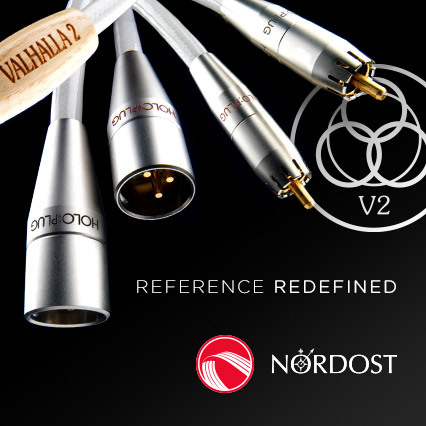 It was compared to two other Acoustic Revive cables, i.e. RCA-1.0 Triple C-FM and RCA-1.0 Triple C-FM (1,8x1,4) plus to two other interconnects, the Crystal Cable Absolute Dream and Siltech Triple Crown. It was an A/B/A and B/A/A comparison with A and B known. Let me add that I was breaking this cable in for two month in my headphone system with Ayon Audio HA-3 headphone amplifier and HiFiMAN HE-1000 v2 headphones.